Nobel Prize winner Werner Heisenberg's classic account explains the central ideas of the quantum revolution, and his celebrated Uncertainty Principle. Heisenberg reveals how words and concepts familiar in daily life can lose their meaning in the world of relativity and quantum physics.This in turn has profound philosophical implications for the nature of reality. "Philosophically, the implications of quantum mechanics are psychedelic. . . . [a] mind-expanding discovery." --Gary Zukav, author of "The Seat of the Soul"
Werner Heisenberg's celebrated Uncertainty Principle is one of the cornerstones of modern physics. He was awarded the Nobel Prize in 1932 and received numerous other awards. As a public figure he actively promoted the peaceful use of atomic power, and in 1957 led other German scientists in opposing a move to equip the West German army with nuclear weapons. He died in 1976. 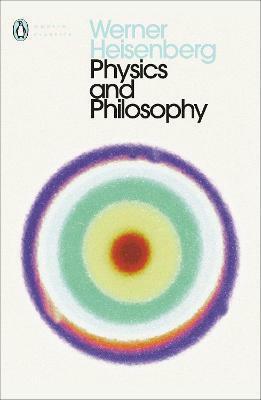 Paul Davies is the author of many books, including God and the New Physics and The Fifth Miracle.